Bringing together two different colored metals on one watch is certainly not new in the luxury watch landscape. However, the use of rose gold rather than more traditional yellow gold to sit alongside stainless steel is a fresher approach to two-tone timepieces. Here are a few of our favorite two-tone luxury watches that marry rose gold and steel right now. Without a doubt, one of the highlights of Baselworld 2018 was the trio of new Rolex GMT-Master II watches. One of them was the two-tone GMT-Master II ref. 126711CHNR, which brings together Everose gold (Rolex’s patented rose gold alloy) and stainless steel in an appealing way. Sporting a 40 mm steel Oyster case, the GMT-Master II ref. 126711CHNR boasts plenty of Everose gold accents including the winding crown, rotating bezel, dial details, and Oyster bracelet center links. The look of the new two-tone Rolex GMT-Master II is tied together by the bi-colored black and brown ceramic bezel insert with rose gold-filled numerals. The rose gold and steel two-tone Nautilus Chronograph ref. 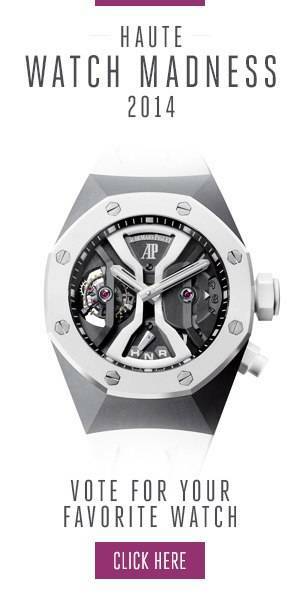 5980/1AR joined the famous Patek Phillipe sports watch collection in 2013. Right off the bat, we see that the balance of the two different metal shades is just right, from the 40.5 mm porthole-style case to the octagonal bezel to the integrated bracelet. Contrasting with the rose gold and stainless steel metals is the vibrant blue dial featuring the signature horizontal grooves, which is the perfect background for the applied rose gold hour markers, rose gold hands, and white monocounter to pop. To celebrate the 25th anniversary of the Seamaster Diver 300M collection this year, Omega unveiled a varied collection of new models, including a handful of two-tone versions. A particularly attractive edition is the two-tone Omega Seamaster Diver 300M ref. 210.22.42.20.01.002 combining cool steel, warm rose gold, and sleek black. The 42 mm stainless case includes a winding crown and helium escape valve crafted in Sedna gold (Omega’s propriety rose gold alloy), in addition to a Sedna gold and black ceramic dive bezel. Matching the bezel are the black wave-patterned dial with Sedna gold components and the black rubber strap. In 2017, Vacheron Constantin welcomed some rose gold and stainless steel watches to the Overseas collection, including a chronograph and a date model. Of the two, the simpler two-tone Overseas ref. 4500V/000M-B127 features a 41 mm stainless steel case topped with a rose gold bezel, shaped in the familiar Maltese Cross inspired silhouette, along with a rose gold winding crown. The rose gold touches continue on the silver dial, including the indexes, the center hands, and the frame around the date window. Complementing the metal case of the Vacheron Constantin Overseas ref. 4500V/000M-B127 are the two interchangeable brown straps that come with the watch—one alligator leather strap and one rubber strap.